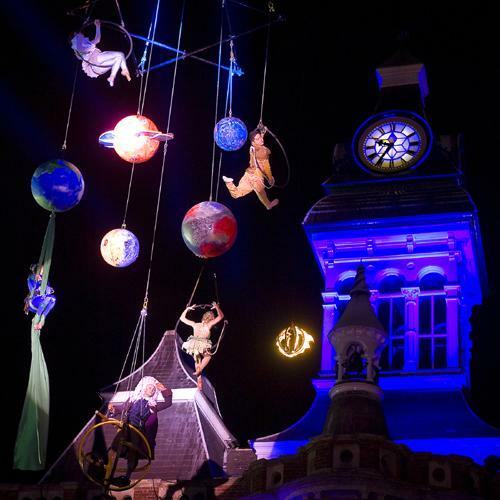 A beautiful tale of planets, the sun and the moon, of discovery and exploration….this new outdoor show was commissioned as a finale to Gravity Fields Festival, a celebration of science and art in Isaac Newton’s hometown of Grantham. 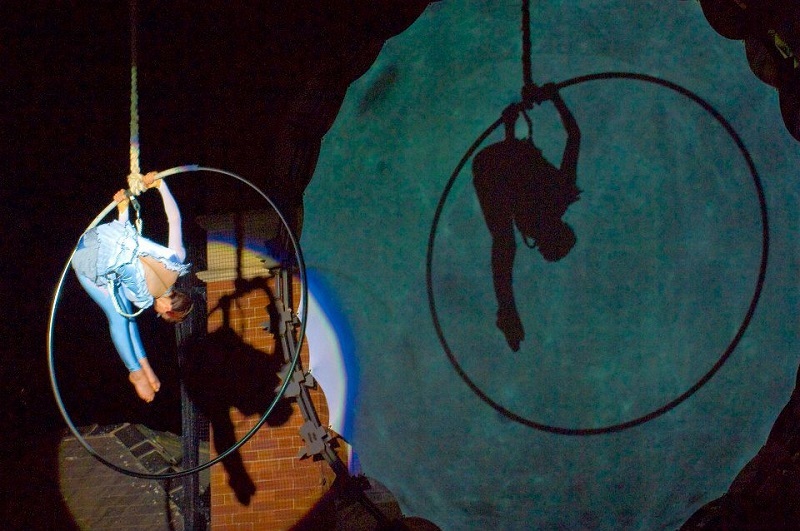 Star Struck includes aerial acrobats dancing high in the air, planets rotating above audience’s heads, beautiful celestial images projected onto a specially created ‘sun’ screen and a cosmic soundscape to complement the show. Sir Isaac Newton himself appears in a street theatre parade, seated on a fantastical carnival float. Star Struck is a brand new show using state-of-the-art projection equipment, a 20 metre crane and purpose-built processional vehicle and props. 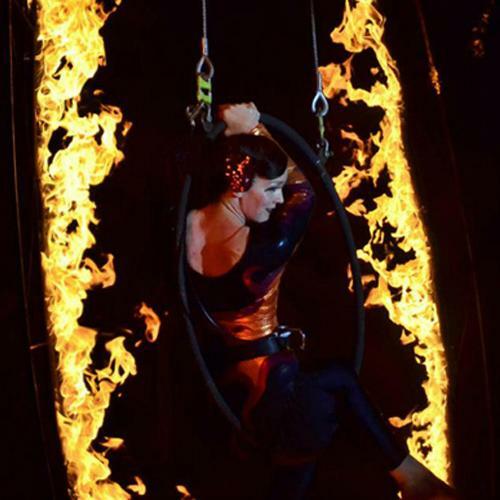 The show team includes a digital artist, a designer, aerialists, street theatre artists and acrobats as well as director and production team. The original performance involved students of local schools, who designed and made the planets that hung from the crane. Participants were also invited to take part in the Isaac Newton parade, with preparatory workshops in advance. Engagement elements can be tailor-made to your event. It really was everything we hoped it might be and more. Vision and then the practical delivery of that vision to the highest of standards and integrity is always at the heart of your work! 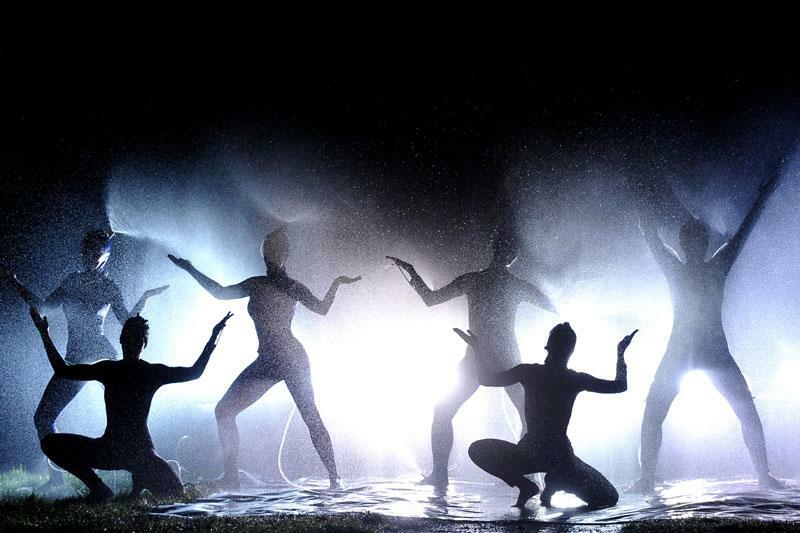 A great show – very impressive and entertaining – it really was the centrepiece of the celebrations.